It matters for all of you. Rebecca Kempton, MD, Physician; pediatric sleep specialist; founder, Baby Sleep Pro; uses customized behavioral techniques to help families worldwide sleep better. So you have given up caramel mocchacinos, and promised you will use your gym membership, and maybe even jumped on the “be kind” bandwagon. But have you thought about adding your family’s sleep to your resolutions? I’m going to convince you that it should be on your list, if not at the top of it. Does it seem like sleep should just “come naturally” and not even be a “resolution”? Well, I can tell you based on the science and on experience working with thousands of sleep deprived infants, toddlers and parents around the world that one of the biggest sleep myths out there is just that: “sleep comes naturally, it is just a matter of time.” Like riding a bike, healthy sleep habits and learning to fall and stay asleep are learned behaviors that take a lot of practice for your child and patience for you! Brain Development: Infant’s brains are growing rapidly, every day, every minute much of the growth occurs during sleep. Growing brains require repeated cycling through all the stages of sleep in order to develop and work properly. Interestingly, research suggests infants who get large proportion of sleep at night perform better at abstract reasoning tests at age 4. Cognitive Development: We all are better able to retain information when we are well rested. Many studies have shown that children who get sufficient sleep are better problem solvers, more creative and flexible thinkers, and have greater academic success. One recent study from University of Massachusetts, Amherst showed that preschoolers who missed naps were less able to both learn new information and recall information they had recently learned. Studies also show that high school students with high academic achievement get an average of 30 minutes more sleep per night than students with lower performance. Memory: When we are snoozing, our brains are working hard to file and store (or discard, as the case may be)what we have experienced and learned during the day. Children’s brains transform subconsciously learned material into active knowledge while they sleep. This process is much more effective and important in babies and toddlers because everything is so new to them. Conversely, sleep deprivation interferes with memory acquisition making learning and retaining new things almost impossible. Mood: Brace yourself for the foul mood of a toddler who has missed a nap or the fussiness of an infant who has been passed around to too many family members for too long. We can all get a little grouchy when we don’t sleep; but young children and babies have an especially low tolerance for lack of sleep causing them and everyone around them to be irritable, angry and easily upset. A study from The University of Colorado at Boulder concluded that toddlers with insufficient naps showed more anxiety and frustration, less joy and interest, and poor understanding of how to solve problems. Behavior: Anyone with a toddler who woke up a little too early, stayed up a little too, or missed a nap knows the dreaded consequences: whines that escalate into a supersonic, ear-shattering, teeth-jarring screams that make you want to run away and join the circus if that were an option. I can tell you from experience that one simple solution to these all out meltdowns is adequate sleep. The New England Center for Pediatric Psychology has coined the term Faux ADHD to describe children who have been diagnosed with ADHD, but whose behaviors are in fact directly linked to two detrimental sleep behaviors. In up to 35% of cases, sleep deprivation is misdiagnosed as ADHD. Immunity: Did you know that sleep not only energizes our body and our brain, but also helps our immune system protect us against the common cold? And even a small amount of sleep loss can increase inflammation and cause tissue damage, affecting the immune system’s ability to fight infection. The American Academy of Sleep Medicine recently published their recommendations for the amount of sleep needed by infants through teenagers to “avoid the health risks of insufficient sleep.” Ensuring adequate sleep is the secret weapon that can help ward off the common cold, as well as chronic diseases like high blood pressure, heart disease, diabetes, and obesity. Obesity: Many studies have now confirmed strong links between obesity and sleep deprivation in children. The science shows impaired glucose control and altered hormone production as the main culprits; in addition to the fact that kids who are getting less sleep are spending more time watching TV. The NIH even concluded that adequate sleep may be preventive of obesity. Safety: Numerous studies show that losing sleep impairs your ability to think and make decisions akin to being intoxicated. After several nights of losing sleep — even just 1–2 hours — your ability to function suffers as if you haven’t slept at all in 2 days. This seems especially scary for injury prone toddlers who turn living rooms into Olympic stages and think nothing of torpedoing off the sofa when you’re looking the other way. Your sanity: Need I say more?? You quite simply can’t function like a normal human being when neither you nor your child is sleeping and this makes all of us a bit loopy. 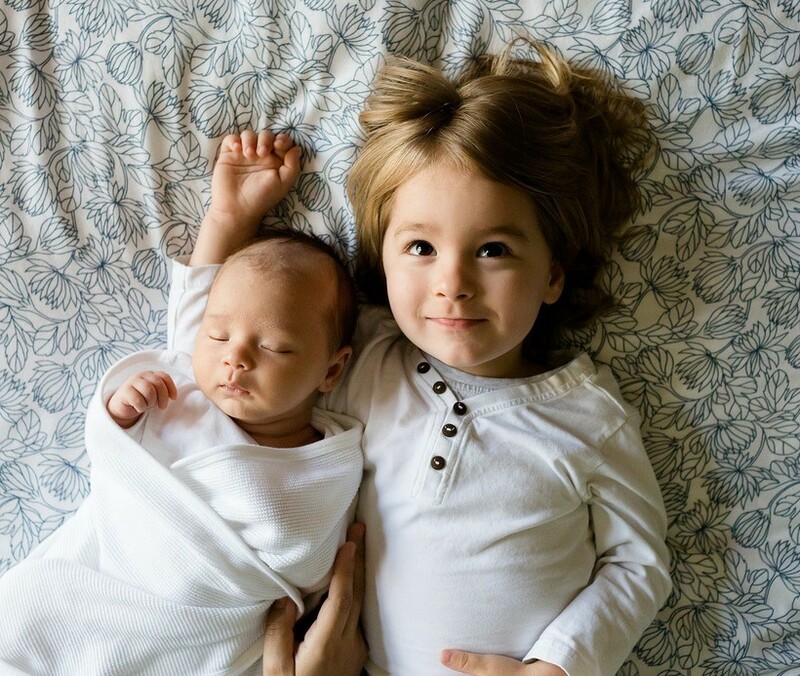 If after reading this, I convinced you to start thinking about how to help your family become well-rested, read my tips for how to do it in under two weeks. Originally published at www.huffingtonpost.com on April 17, 2017.